Have a business, career or life question or a challenge you need help with? 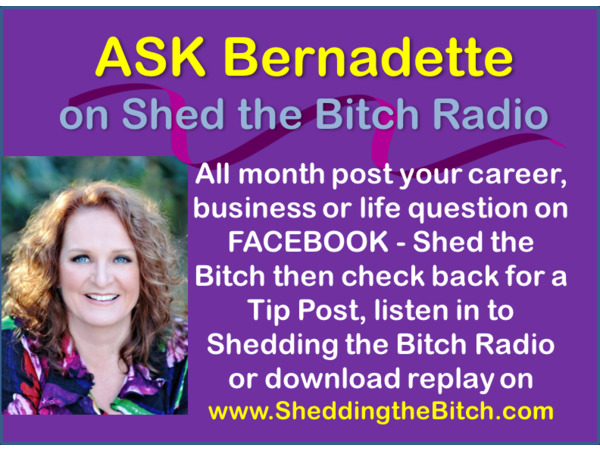 Tune in the 1st Tuesday of each month and Ask Bernadette Anything. CALL 1-818-572-2910 to talk to her directly. POST your questions on Facebook and Twitter (ShedtheBitch) or LinkedIn private message. However you connect, get the advice, tips and support you deserve.